What am I wondering about? 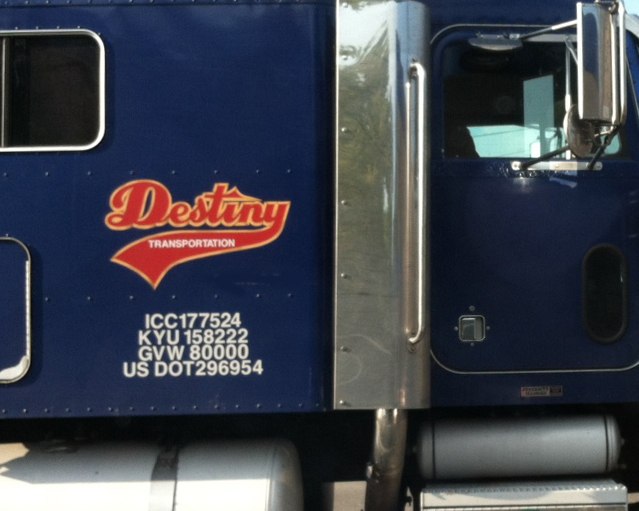 I was driving down the road the other day and saw this sign on a truck that was next to me at the light. It made me wonder what the truck was transporting and where it was headed. It reminded me of a bus company that I used to see around. Their name that was painted boldly on the side of their buses was, “Glory Train.” That would make me stop and think before boarding.